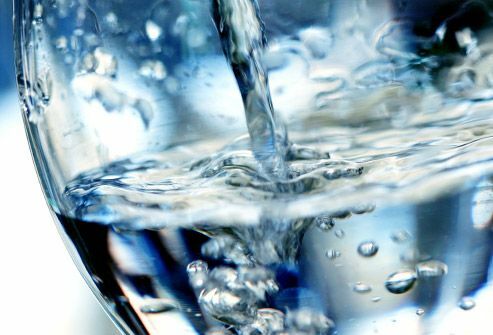 The best way to stay regular is to exercise, eat a healthy, fiber-rich diet, and drink plenty of water. But if you have trouble going, certain foods can help. 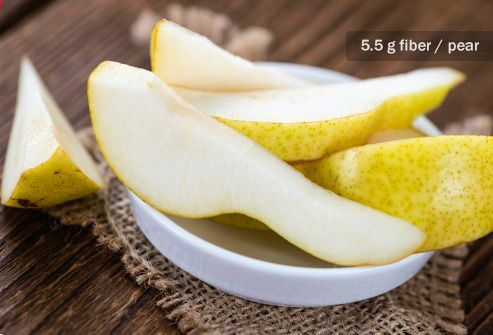 It’s not the only factor, but fiber -- which adds to the size and water content of your stool -- is key. Women should shoot for 21 to 25 grams a day, and men, 30 to 38. 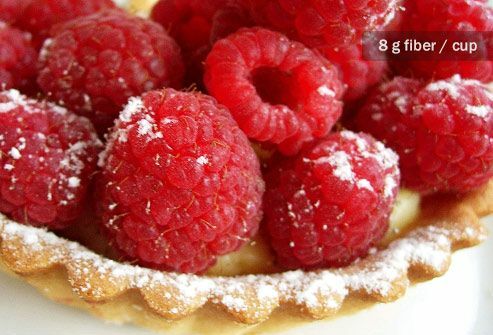 Ruby red and yummy by themselves, with a bit of cream, or added to yogurt, they give you a hit of calcium and vitamin C. A light tart with raspberries and an almond crust could up your fiber intake even more (almonds have lots of it, too) -- just watch out for the sugar and fat. It’s not just perfect movie food -- it can be a healthy snack any time, as long as you don’t bury it in salt and butter. 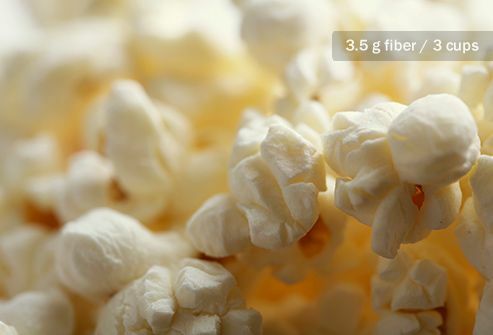 But you may not know it’s loaded with fiber. It doesn’t have a lot of fiber, but it’s 92% water, and that can encourage a bowel movement. 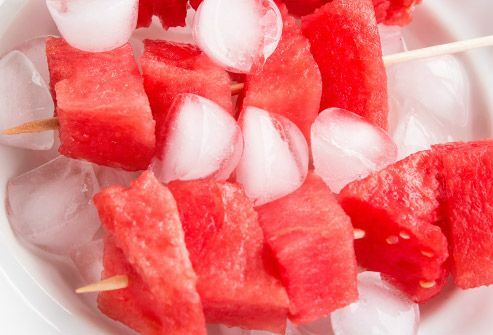 It’s also chock full of nutrients, with antioxidants that help protect your cells, as well as vitamins A, B, and C, and lycopene, which helps shield you from UV rays. Have this for breakfast and you’ll be less hungry -- and less likely to snack -- during the day. 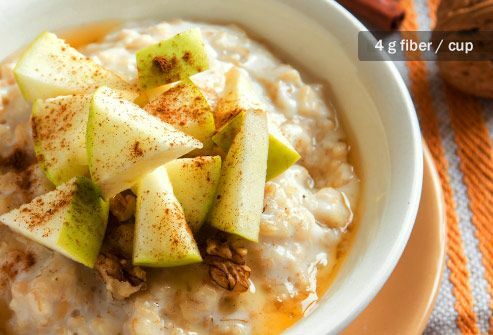 It’s a good source of fiber, and the oats absorb lots of water, too, which helps with digestion. 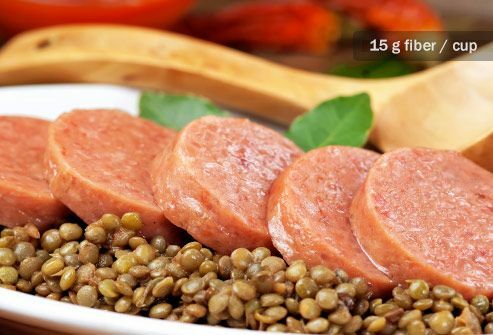 Bonus: It also may help lower LDL, or “bad cholesterol,” and gives you complex carbs, protein, calcium, and iron. 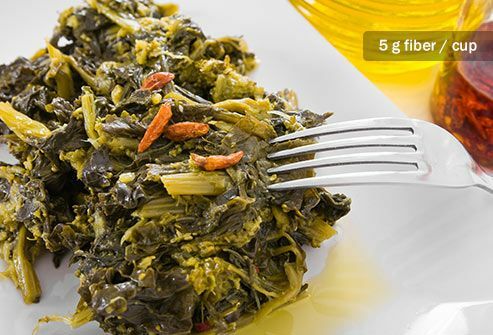 Sometimes overshadowed by their more famous cousins -- kale, spinach, and collard greens -- these have long been a staple of Southern cooking. They’re traditionally cooked with salt pork or ham hocks for flavor, but you can use smoked turkey wings to lower the salt and fat. 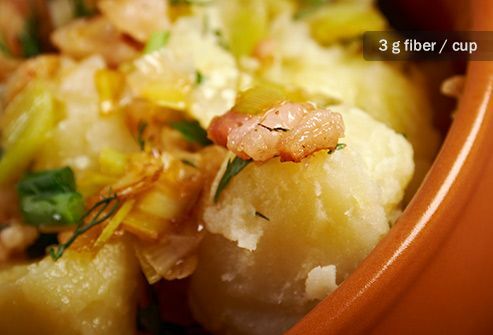 Cooled potatoes have fiber and a lot of something called “resistant starch." This “resists” digestion, and some of it ends up in your large intestine, where it helps good bacteria grow. 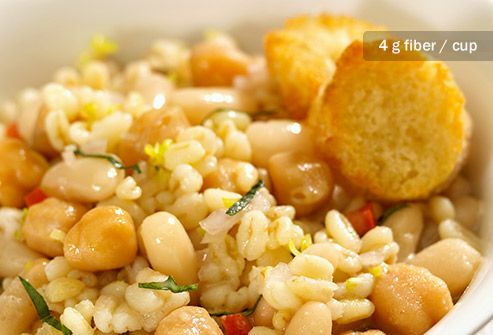 An ancient strain of wheat that’s a staple in Italy, it has a hearty, chewy texture and a delicious nutty flavor. 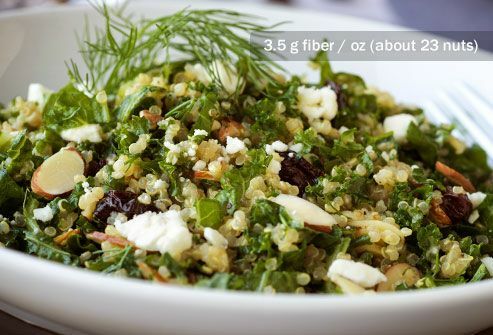 Try it instead of rice or potatoes for a fiber-rich starch with protein and calcium. Try not to think of Grandpa's morning BM ritual -- but he was on to something. 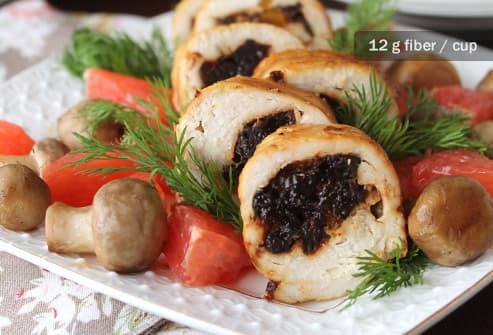 Prunes can be good with yogurt or cheese or cooked with poultry and desserts. And they can really help get you going again, even better than some over-the-counter laxatives. It’s not clear why they work so well, but they have sorbitol -- which helps your bowels take in more water -- as well as fiber. These can make for a great a side dish (try them with sausage), and they’re good in salads, too. They can even be hearty enough to have as a main course, thanks to a healthy amount of protein. And, oh yeah, they help you poop. 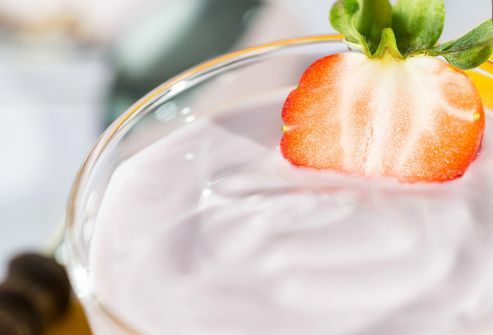 The bacteria that turn milk to yogurt are also good for your digestive tract. All yogurt helps keep it healthy and keeps you regular, but yogurt with live cultures or probiotics may be even better at helping you go. 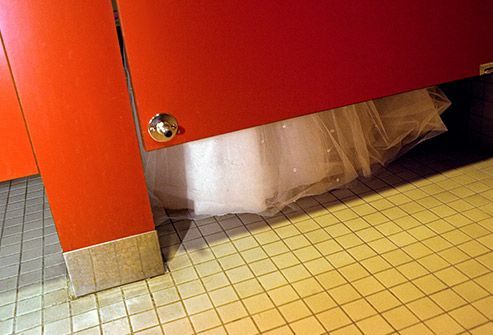 This one has scientists a bit baffled -- it makes some people poop, but no one knows why exactly. 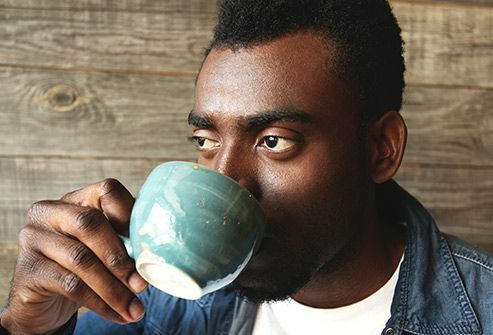 It’s probably not the caffeine, because studies have shown that even the decaffeinated version works for some folks. One theory is that it affects the lining of your stomach and small intestine in some way, or it might be linked to a hormone that makes your colon contract. And that could help you on your next visit to the restroom. Yep, good old-fashioned water can help get you back on track. You can get it from the tap -- filtered if necessary -- and from other drinks, soups, and even fruits and vegetables. USDA Branded Food Products Database.